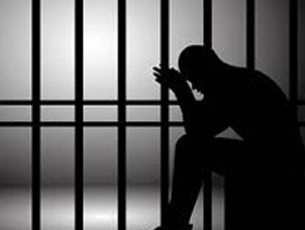 Moodbidri , Dec 6, 2015: The VI Additional District and Sessions Court on Saturday sentenced a 26-year-old labourer, who had sexually assaulted a 19-year college student in Moodbidri in 2013, to seven years of rigorous imprisonment. According to the chargesheet, the girl called back Mahesh after seeing his missed call. Mahesh introduced himself as Praveen, a site engineer and befriended her. He then borrowed a gold chain from her giving the reason of financial difficulty. Mahesh took her to pledge the chain in a bank in Moodbidri on June 3, 2013 and a week later, he took her to the bank to get the chain released and then sold it to a jeweller. After some days, he borrowed her gold earrings and a gold ring and sold them. When the girl asked for her jewellery, he took her to an abandoned office and sexually assaulted her on June 16, 2013. He revealed his real name and threatened her and her family of filing a case under the Scheduled Castes and Scheduled Tribes Act as he was from the Scheduled Castes, the chargesheet said. The girl told her parents and filed a complaint. A.K. Thimmaiah, the then inspector of Moodbidri police station, arrested Mahesh and filed chargesheet. Judge D.T. Puttarangaswamy also ordered Mahesh to pay a fine of Rs. 13,000, of which Rs. 10,000 should be paid to the girl.